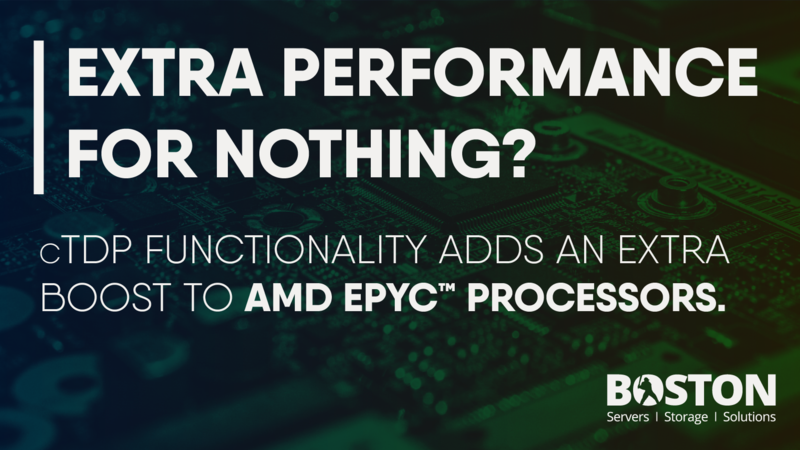 One of the industry’s best-kept secrets, we heard recently that there is a little-known feature lurking within the UEFI firmware of an AMD based Boston / Supermicro systems that can improve performance – it just needs to be turned on. 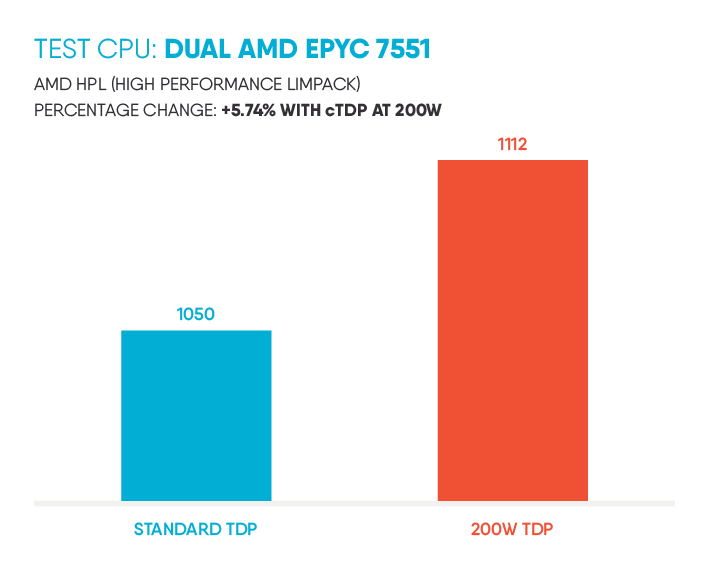 The function, coined as “cTDP” or configurable TDP allows the processor to consume more power than standard, but in return can give your application performance gains. Sounds great, how do I enable it? Within this menu you should find the cTDP option set as default to “auto” – change the cTDP Control=Manual, then cTDP=200, changing the maximum the CPU can go up to 200W. 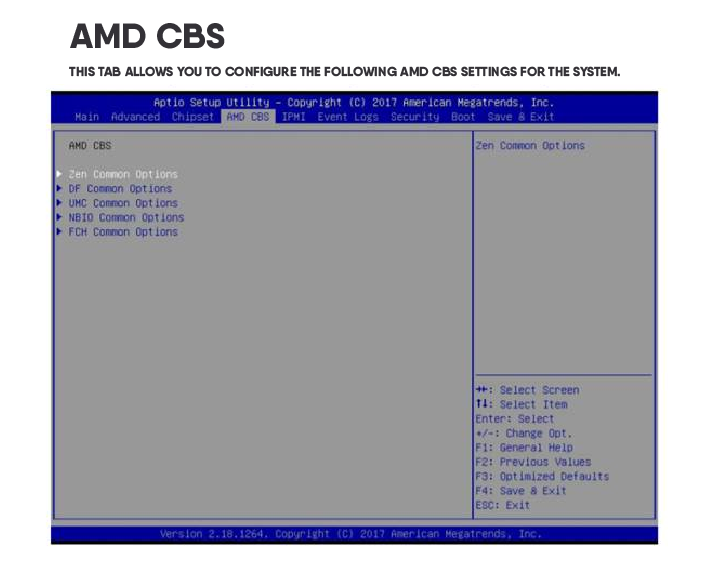 What are the options for each processor? Sounds good, but if any, what benefits does this bring? Well, higher power usage will cost you more in electricity costs, so you surely hope that performance increases with more TDP headroom. To see if this is the case we ran AMD Linpack and Cinebench on a test system, then collected power consumption under load to see if this does turn out to be the truth. 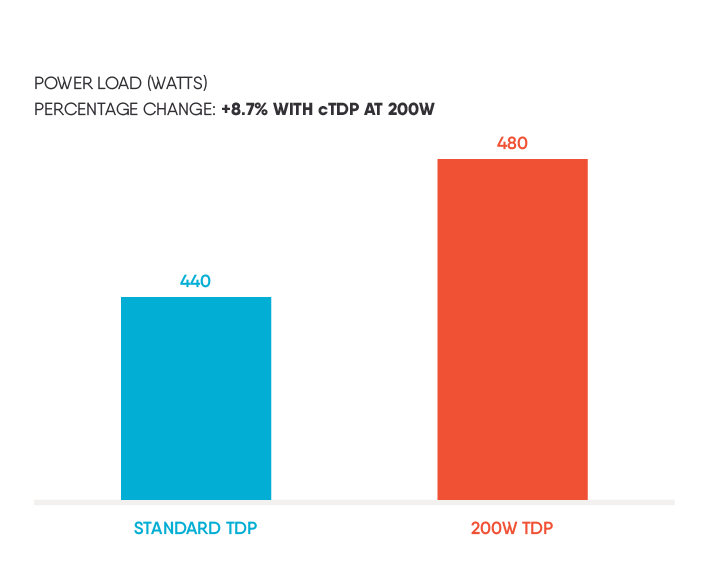 If you’re looking for all-out performance with little concern for power consumption, then the cTDP increase function makes perfect sense. The only cost for extra performance is electrical power since this is a pure configuration change and no further hardware is required. If you already have the system plus CPU; it’s a no-brainer. 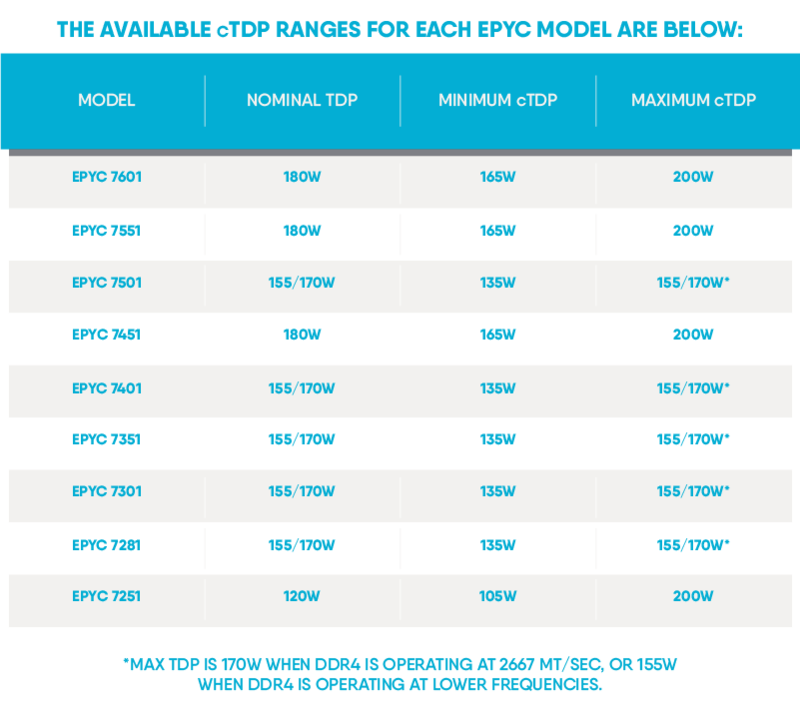 Conversely, if you’re application isn’t concerned with outright performance, and you can save some money on electricity, then perhaps lowering the cTDP might even be an option for you. We’d recommend taking the time to experiment with your own applications to see what fits.